As even casual observers know, Donovan McNabb is now a Washington Redskins. The Easter evening trade sent the Eagles' all-time greatest quarterback to their division rival for a couple of draft picks. The reaction in Philadelphia has been mixed, ranging from pure elation to resolve that the team needed a change to bitterness that the star player was unceremoniously dumped. Many believe that sending him to a team within the division and handing the starting role to unproven Kevin Kolb adds further insult to a tenure punctuated with disrespect throughout his days in midnight green. From the harsh greeting he received from a small contingent of Eagles fans on draft day through the ongoing reaction to his trade, McNabb has not always felt the love from the Philadelphia community. This is not to say that he has not enjoyed a supportive and sometimes adoring segment of the fan base, but the number of detractors has continued to grow as the Lombardi trophy continued to reside in other cities around the NFL. 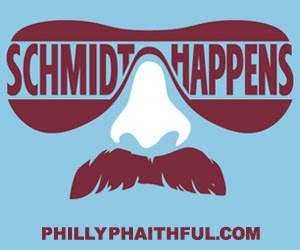 And, although McNabb's reaction was quite the opposite of Mike Schmidt, it similarly exacerbated the situation. Specifically, Donovan's perpetual smile and desire to focus on the positive was interpreted as nonchalance and lack of passion to achieve the same goal so desperately desired by the fan base -- namely a Super Bowl championship. From his first season as the acknowledged starter, McNabb led the team to unprecedented success. His 657 winning percentage is just short of spectacular and far superior to any other quarterback in franchise history. McNabb has also filled the record books with stellar numbers that place him virtually at the top of all team records and high in the all-time NFL rankings. The list of accomplishment is almost endless—just pick the category and Donovan sits at the top by usually a wide margin. The statistical evidence makes a strong case that McNabb it's clearly the best quarterback the organization has ever employed and arguably it's overall best player. However, his critics continue to focus on only their own measuring stick of performance— the inability to win the Super Bowl. The debate about #5 will continue to rage on for years to come without resolution. With his body of work in Philadelphia now complete, there is little that McNabb can do to turn sentiment his way. Of course, a Redskins Super Bowl championship might highlight to many Philly fans that he was deserving of more credit. Sports passions run deep and fans are highly invested in its professional sports teams in the city of Philadelphia. There is clearly an emotional connection far stronger than most sports towns that can make it a very special place to play. 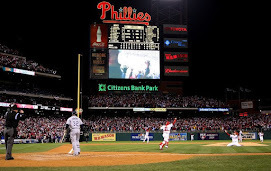 Just visit Citizens Bank Park for any Phillies game to experience the electricity of a tremendously supportive fan base that is truly enamored with its hometown heroes. The atmosphere is almost magical. However, knowledgeable and highly engaged fans, helped along by a very discerning media, expect supreme effort and winning performances from its sports teams. And, the highest expectations are assigned to its most talented athletes. Some players exhibit qualities and performances that win the hearts of Philly fans and come close to leading a charmed life. Conversely, others never seem to make the connection and win the affection of fans that is commensurate with their talents and seeming contributions. No player is without imperfection. However, the flaws of these five athletes were rehashed and embellished to the point of overshadowing what other fans outside of Philadelphia admired and coveted.